Time for the post-massage comments and David was first; not ever having had the experience before. “I thought I’d be bored!” he admitted “….but it was unbelievably different from what I thought it would be” continued David “I thoroughly enjoyed it and it won’t be my last at Flawless”. Claire had pampered herself with massages before, but even so was quick to add that the Flawless experience was “absolutely amazing ME TIME”. “Flawless were flawless” agreed Claire & David……and there we had the visit’s tagline! Relaxed and already thoroughly enjoying their win, our next destination was Antonio Giovanni’s in St Nicholas Street, where we dropped David off into the capable hands of salon owner Stefano, for his gents cut. Duly dispatched, we drove round the corner to Antonio Giovanni’s second Ipswich salon in Friars Street, where I dropped Claire off to her senior stylist. Just under 2 hours later, David & I met Claire back at the Friars Street salon for the second debrief. Claire was first to effervesce. “Very nice….really enjoyed being pampered again” said Claire. “It’s always nice to have someone else do your hair” explained Claire. “Especially when the stylist is chatty. Plus, I loved my goody bag!”. I had to enquire further and Claire helped out. “I was given a ‘new client’ goody bag, which contained a mini hairspray, hair oil, shampoo & conditioner, treatment and a 20% discount voucher for my next cut” added a visibly delighted Claire. What a nice touch by the salon. David was next with his thoughts. 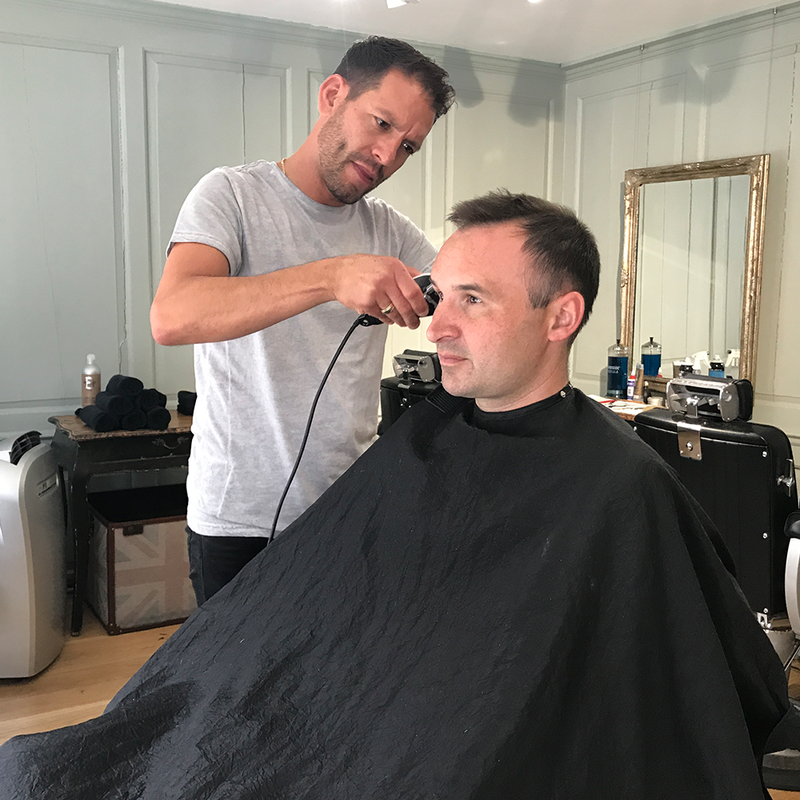 “I loved the atmosphere in the salon”. “I told Stefano that I would definitely return”. “Stefano was very approachable, chatty and made you feel like you’d been going there for years”. So, relaxed by way of massage and sporting new lock looks, I dropped the happy couple back home and bid farewell for a couple of hours, to meet again for pre-dinner drinks. We met up again at the Salthouse Harbour Hotel at 7pm and I left the ‘dressed to impress’ couple to start their actual date night with a glass or two, prior to their short taxi ride around the marina to dinner.